Giving thanks always and for everything to God the Father in the name of our Lord Jesus Christ(Ephesians 5:20, ESV). But somehow we make the choice to turn from all that we’ve received and to focus on what we still want. We minimize the blessings of life and magnify every negative circumstance we encounter. The litany of complaints begins. When we focus on the negative around us, life starts to feel like a wilderness. Instead, we need to grow in our level of gratitude. Thankfulness is a spiritual discipline that we can learn, starting with elementary school gratitude, then high school gratitude, and finally graduate school gratitude. Let’s visit these three schools of gratitude. The elementary level teaches us to be thankful in the most basic sense. We learn to “continually offer up a sacrifice of praise to God, that is, the fruit of lips that acknowledge his name”(Hebrews 13:15). At the elementary level, thankfulness feels like a sacrifice. We wring out of our hearts, “Thanks, God. There, I’ve said it, God, so You should be happy.” When God helps us, we say thanks out of obligation. Now that is something, but it’s not much. When thankfulness is a begrudging sacrifice, we won’t find much joy. With high school gratitude, we come to a better place. “Give thanks in all circumstances; for this is the will of God in Christ Jesus for you” (1 Thessalonians 5:18). In every situation, we can always find something to be thankful for—always. We can make the decision to focus not on what’s wrong but on what’s good and right in our lives and give thanks for that. This growing level of gratitude does produce joy . . . as long as we’re not going through anything too difficult. But if you want to be done with poverty of spirit, if you want to escape from the cheerless, joyless wilderness forever, then advance to level three, graduate school thankfulness. Be thankful for all things. 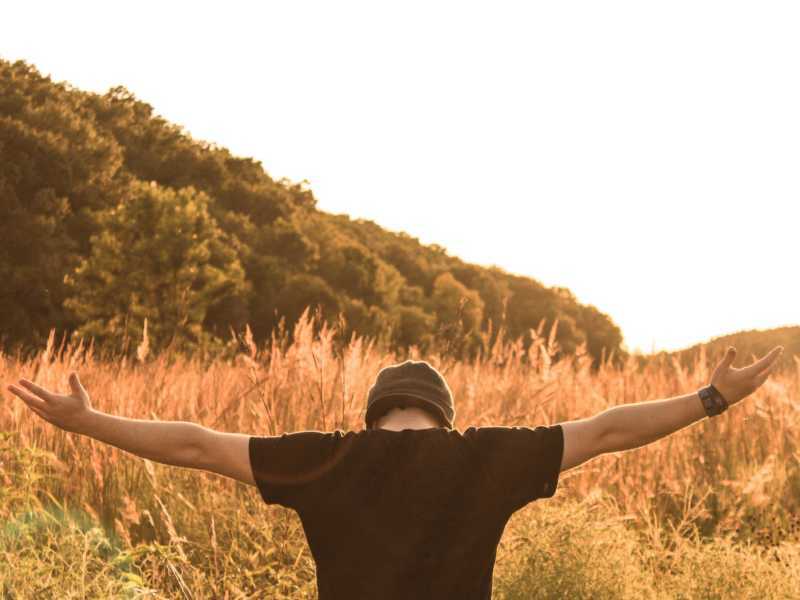 Whereas high school thankfulness searches for a good aspect in a challenging circumstance, graduate school thankfulness trusts God and thus feels grateful for the bad things, even the things we wouldn’t choose. “Be filled with the Spirit . . . giving thanks always and for everything to God the Father in the name of our Lord Jesus Christ” (Ephesians 5:18b, 20). This is the Mt. Everest of thankfulness, and here you will find victory over every circumstance. No matter what you’re suffering—a health crisis, a deep sorrow that won’t go away, a financial need—you can come to the place where you sincerely say by faith, “Thank You, God. This is the thing You’re using in my life. You’ve allowed it because You love me, and I trust You. Thank You, God, even for this!” When you grow up into that kind of thankfulness, you will experience a depth of joy you never thought possible. We really have so much to be thankful for. Did the sun come up again this morning? Do you have another day to live for the glory of God? Then you can give thanks. You might argue, “Yes, but I have plenty of negatives to focus on and complain about too.” Exactly the point. You have a decision to make. 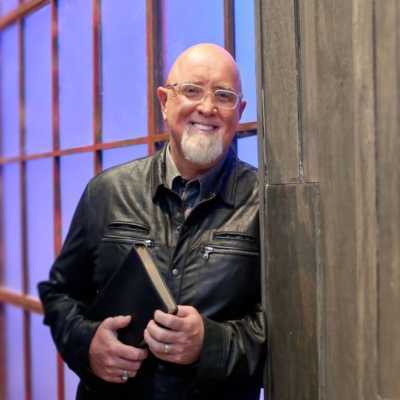 This post originally appeared on Dr. James Macdonald’s daily devotional Our Journey and was republished with permission. James MacDonald (D. Min. Phoenix Seminary) is the founding senior pastor of Harvest Bible Chapel, leads the church-planting ministry of Harvest Bible Fellowship, teaches the practical application of God’s Word on the Walk in the Word radio and television programs, and is a gifted author and speaker. You can find out more about James and his ministries at WalkintheWord.org.